Pretty foggy in the mauka areas of Kona and even foggier in Waimea. 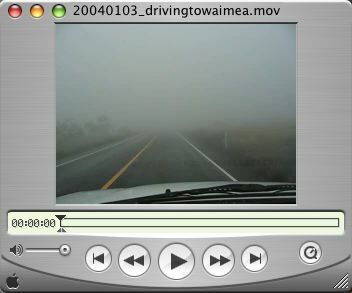 Click on the above image to see how visability was getting pretty bad as I was headed to Waimea. In Waimea you could see cars about 150 feet away, if they had their lights on.